The founding and development of sport clubs has helped shape communities nationwide. One hundred and fifty years ago, Canada transformed from a collection of provinces and territories into one unified nation. Confederation connected hundreds of communities, big and small, into a vast and diverse collective. But the thousands of municipalities that make up that mosaic each possess a unique social tie that binds us. A significant number of these social ties come with the founding and development of sport clubs. Looking at all of the clubs established across this country is staggering. Some are even older than Canada. It is no surprise that Montreal, Toronto and Nova Scotia are home to some of the oldest sporting clubs in Canada, as they were inhabited for the longest period of time before migration moved westward. What is surprising is the growth and formation of golf clubs in very sparse locations across the country. The first written reference of golf in North America can be found in an 1826 edition of the Montreal Herald inviting golfers to play on the Plains of Abraham. There are two important things to note when examining this reference. 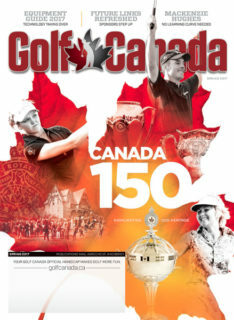 Firstly, that golf was being played in this country well before any clubs had been organized and, secondly, that golf was gaining popularity in Canada prior to it appearing in the United States. Research indicates that towns were not considered civilized in a sense until an established club was founded. The purpose of the club was to play organized golf and be social venues, often with its members being leaders of their communities. Due to population sizes, most small towns could only sustain one or two types of sporting clubs, in contrast to its metropolitan counterparts such as Toronto and Montreal. Many of the golf clubs that were established at the turn of the century were rudimentary courses, yet the people used these clubs as an opportunity to develop their community. When we think about community in the prairie provinces, we often imagine men and women with young families building a homestead. But the community of Stony Mountain, Man., was a prison town — and yes, they built a golf course in 1890. In fact, the prisoners did. The penitentiary warden, Lt.-Col. Samuel Bedson, thought it beneficial to the prisoners (in order to keep them out of trouble) for them to physically construct the nine-hole layout. The village of roughly 200 people enjoyed the course, as did other communities from far away. Two years later the course of Virden Wellview was built, arguably because of its citizens traveling east to play golf at Stony Mountain. How important is the club to the 3,000 residents of Virden, Man.? Well, when oil was discovered on the property, the golfers simply put fences around the oil wells so that they could continue golfing. The Stony Mountain course no longer exists but it created an important building block for golf in Manitoba, in which Virden Wellview remains the oldest active golf club. “Many of the great clubs in our province — such as St. Charles CC or Pine Ridge — are the product of Virden Wellview growing the game from 1892,” explains Dave Comaskey, executive director of Golf Manitoba. Nothing epitomizes the definition of community more than when its citizens come together in desperate times of need. During both world wars, many Canadian communities were decimated through lack of income or the sheer number of citizens that had enrolled to aid the war effort. From Calgary alone, over 200 golfers enlisted in 1917 leaving their families behind. However, many golf clubs held fundraisers to support the war effort. 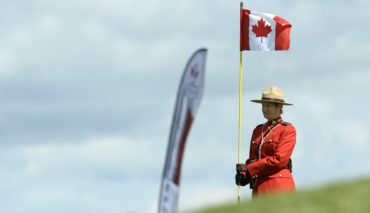 The Canadian Ladies Golf Association, a close-knit community of female golfers from across Canada, provides the most significant example of community when the CLGA (then known as the Canadian Ladies Golf Union) established their War Service Fund from 1940-45. Every provincial branch, club and individual member raised and collected more than $82,000 from field days, club competitions, dances and raffles. That great achievement funded a Spitfire war plane. 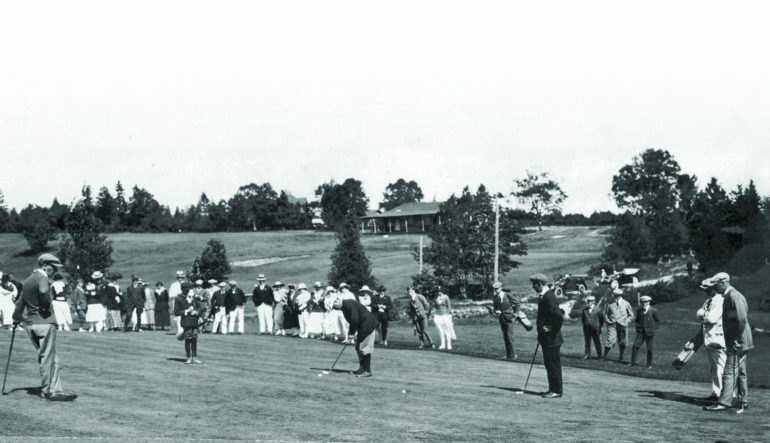 It would be difficult to call the 1909 city of Prince Albert, Sask., the golfing epicenter of Canada yet in that same year a golf club was established so members of the community — which two years later was just over 35,000 people — could have a place to play golf and socialize. Ironically enough, this is roughly the same number of people who reside in Prince Albert today. A golf course has remained a fixture in their community for more than a century. Prince Albert’s Ward 4 councillor Don Cody knows first-hand the importance of the Cooke Municipal Golf Club (formerly named Prince Albert GC) to the city and its citizens. 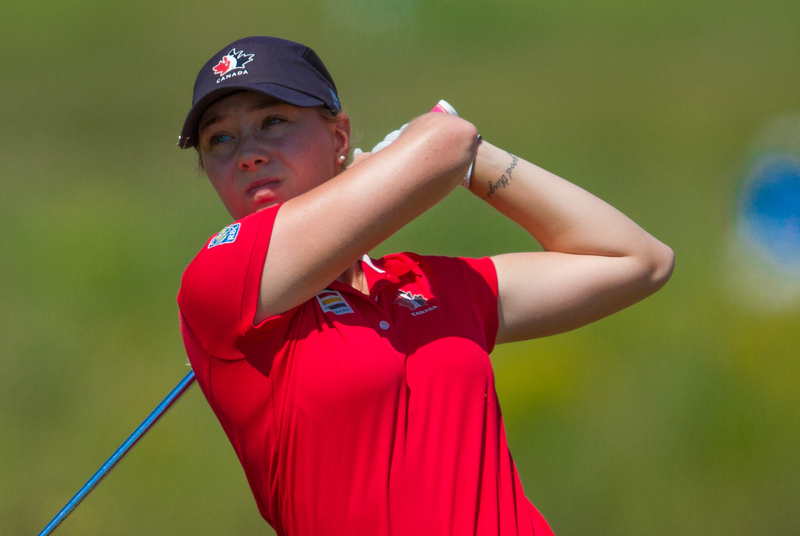 “Cooke Municipal continues to give back to its community, partly by trying to keep rates affordable for families and golfers of various skill levels,” notes Coun. Cody, who is a member of the club along with his wife. That said, the course has still turned a profit every year and in 2017 will receive a substantial $2 million in funding for needed upgrades, namely to the irrigation system. The town’s investment not only helps secure the facility’s future but ensures various organizations can continue to use the club for fundraising efforts. “It is that kind of thing, that community spirit, that allows the club to give back and we make it work,” he adds. 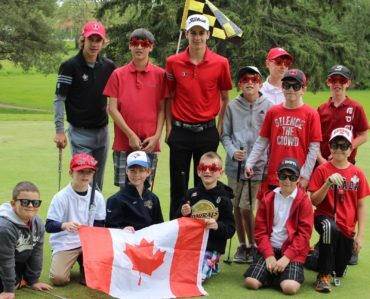 Cooke Municipal Golf Course is one of many sports clubs around the country that continuously contributes back to its community, all the while promoting the sport and ensuring its survival in Canada. History shows the great bond that clubs and members have with each other in shaping their local neighbourhoods and, in doing so, shaping the cultural and social landscape of our diverse country.